City, University of London welcomes applications from Bengali students. 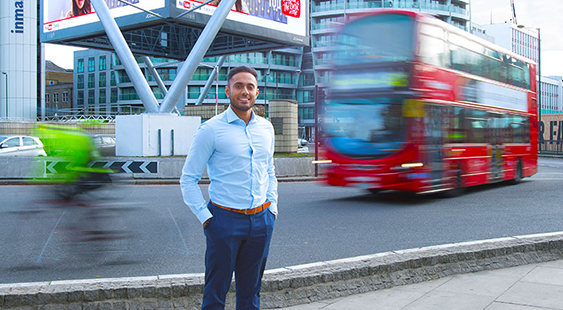 London is a great place for students from Bangladesh to study as it is a global city with virtually every nationality represented in some way. Entry to undergraduate programmes at City is suitable for students who have completed 'A' levels or International Baccalaureate. The International Foundation Programme would be suitable for students who have taken the Bangladeshi school curriculum. Applications for postgraduate programmes are considered on an individual basis. Only students who have taken four year bachelor courses will be considered or those with a postgraduate degree from Bangladesh. Applicants for the Bar Professional Training Course would need to achieve an Upper Second Class degree in a qualifying law degree; this would usually be the University of London external programme for students in Bangladesh. Applicants will also need to take the Bar Course Aptitude Test (BCAT). For more information please see the course description. All students from Bangladesh will need to take a recognised English qualification recognised by UKBA. Applicants for the BPTC will need to obtain 7.5 in each element of IELTS. London has an active and vibrant Bangladeshi expat community. Nearby Spitalfields and 'Banglatown' is the heart of the London Bangladeshi community and is home to a large number of restaurants serving authentic (and some not so recognisable) Bangladeshi cuisine. It is estimated that there are over 400,000 people of Bangladeshi origin living in London.